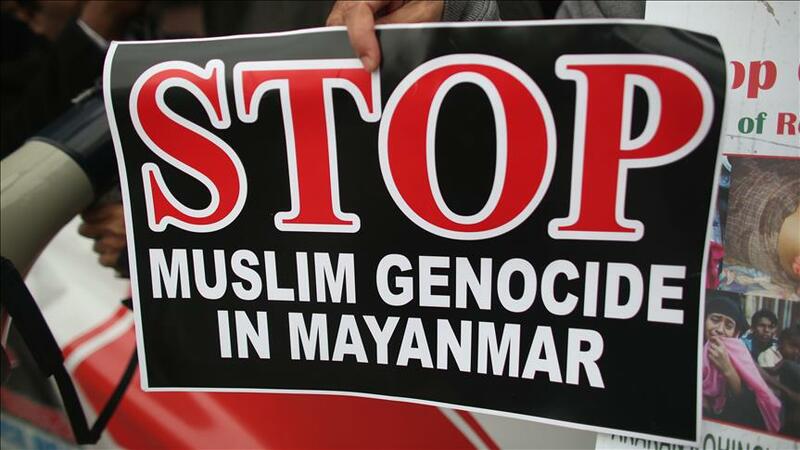 DOHA, Qatar -- The Qatar-based International Union of Muslim Scholars (IUMS) has called on Muslims worldwide to stage a "Friday of rage" Dec. 9 to show solidarity with Myanmar’s persecuted Rohingya Muslim minority. In a statement released late Thursday, the IUMS said it was "following the unfortunate circumstances faced by the Rohingya Muslims in Myanmar". The union went on to criticize the "silence of the Islamic world and the international community regarding the campaign of extermination being waged against them [Rohingya]". It also urged Arab and Muslim governments to adopt harder diplomatic stances with Myanmar regarding the persecution, and called on Islamic, Arab and international relief organizations to provide immediate assistance to Rohingya. Rohingya advocacy groups claim some 400 Rohingya have been killed in military operations in Myanmar’s western Rakhine State since Oct. 9. The Myanmar government, for its part, says 74 alleged "attackers" (including four who reportedly died during interrogation) have been killed over the same period. A law passed in Myanmar in 1982 denies Rohingya -- many of whom have lived in Myanmar for generations -- citizenship, making them stateless. The law denies Rohingya the right to carry Myanmar nationality; curtails their freedom of movement, access to education and public services; and allows for the arbitrary confiscation of their property. Myanmar nationalists have since taken to referring to the Rohingya -- which the UN calls one of the most persecuted people in the world -- as Bengali, suggesting they are not Myanmar nationals but interlopers from neighboring Bangladesh. Rohingya have fled Myanmar in droves for decades, with a fresh wave of migration beginning in mid-2012 following an episode of communal violence in Rakhine between ethnic Rakhine Buddhists and Rohingya.